Celeste Beaulieu, a second-year PhD student, presenting her poster. That’s a lot of research. 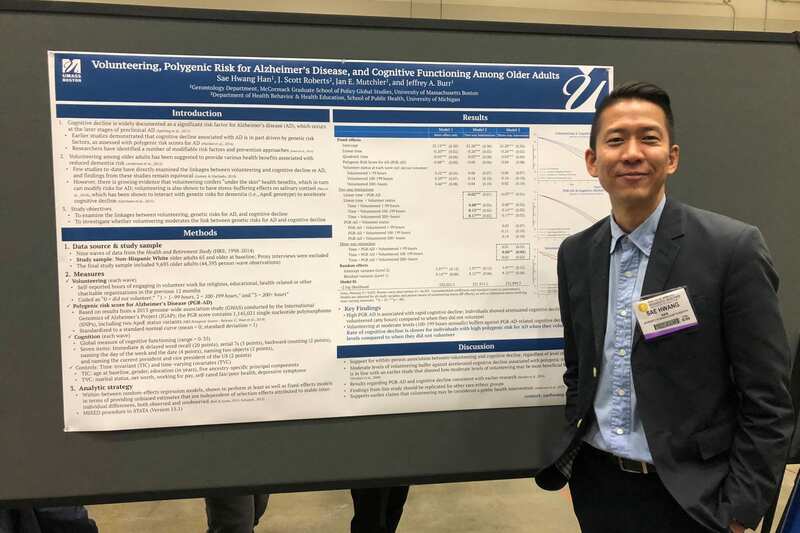 UMass Boston’s gerontology faculty and students made 50 paper and poster presentations at the Annual Scientific Meeting of the Gerontological Society of America (GSA) held recently in Boston. 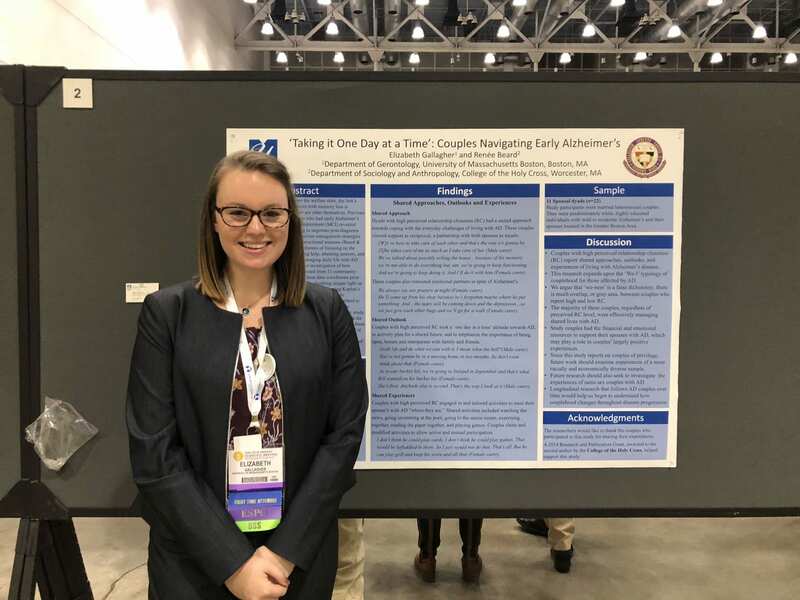 The Gerontology Institute Blog asked students about their experiences as presenters at the important national conference. Advice from PhD candidate Sae Hwang Han: Do the best science you can. Sae Hwang Han, a PhD candidate at UMass Boston, already had a handful of presentations under his belt. This year, he presented at the poster sessions and also gave a talk at a symposium. 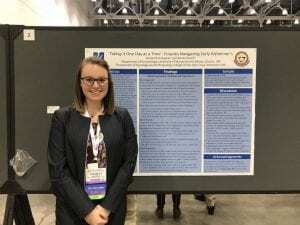 Celeste Beaulieu, a second-year PhD student, had presented her work elsewhere in the past, but the GSA meeting was her first opportunity to do so at such a large conference. Research tip from second-year PhD student Elizabeth Gallagher: Follow your passion. Each student had their own advice for future student presenters. Gallagher advised future presenters to “start working on your poster early.” Another tip: “Research something you are passionate about and it never seems like work,” she said. Words of advice from Beaulieu were to “definitely practice.” She said “if you don’t know something, it’s okay,” emphasizing that conference attendees are supportive. This entry was posted in Education, Institute News and Events and tagged Gerontological Society of America, UMass Boston by stevensyre. Bookmark the permalink.